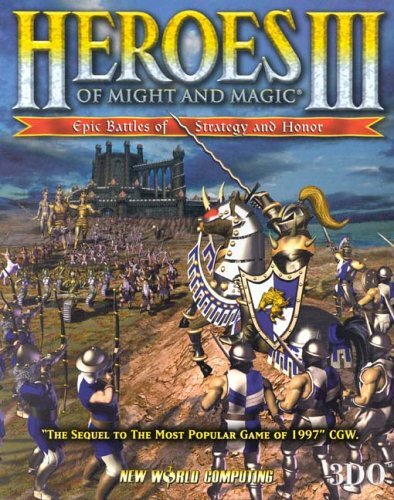 Heroes of Might and Magic III: The Restoration of Erathia (also known as Heroes III or HoMM3) is a turn-based strategy game developed by New World Computing for Microsoft Windows and released by the 3DO Company in 1999. An Apple Macintosh port was released by 3DO, and a Linux port was released by Loki Software, both later that year. In 2000, a Gameboy Color port entitled Heroes of Might and Magic 2 was released and the Dreamcast port was cancelled. It is the third installment of the Heroes of Might and Magic series. The game’s story is first referenced throughout Might and Magic VI: The Mandate of Heaven and serves as a prequel to Might and Magic VII: For Blood and Honor. The player can choose to play through six different campaigns telling the story, or play in a scenario against computer or human opponents. Публикацията е добавена на 23.02.2011, 11:34 в Игри. Можете да проследите отговорите на RSS 2.0. Можете да оставите коментар, или да проследите от вашия сайт.